This is the personal experience of Sri Stephanie Cappitelli shared at SSB center of Manhattan. During a visit to Prashanti Nilayam, I was sharing a room in one of the round buildings. While I had not known my roommate before this trip, we found ourselves so compatible that we went to darshan and ate our meals together. But on one occasion, my roommate wanted to leave early to meet a former friend before darshan. So I stayed in the room. When I was ready to leave, imagine my chagrin when I discovered my roommate had inadvertently locked me in! Now I was in a real predicament. No one else was around. I was alone, locked in my room, and very upset. I would be missing darshan, trapped, perhaps for hours, as my roommate would not be back for two hours of darshan, the hour or so for dinner, and another hour or two for shopping in Puttaparthi. I panicked and began crying, bemoaning my fate. It was in this terrible state of mind, feeling like a victim, that I noticed a small hole in the window screen. An insect, like a wasp or a bee had come into the room, adding another worry -- that of a bee sting. I prayed to Swami trying to accept His will. I also prayed for help to get out of the room. After a while I claimed down and become fascinated by the bee. It was obviously distressed at being trapped inside the room and seemed desperate to get out. It kept banging against the screen in its attempt to do this. Each time it failed, it flew back into the room and tried again. It did this over and over again. Finally, after many attempts, it found the hole it had come in through and flew out of the window. Watching this, I realized that nothing happens in Prashanti Nilayam without reason. Every thing is a message from Swami. What was the message of the bee? Surrendering is not feeling like a victim. 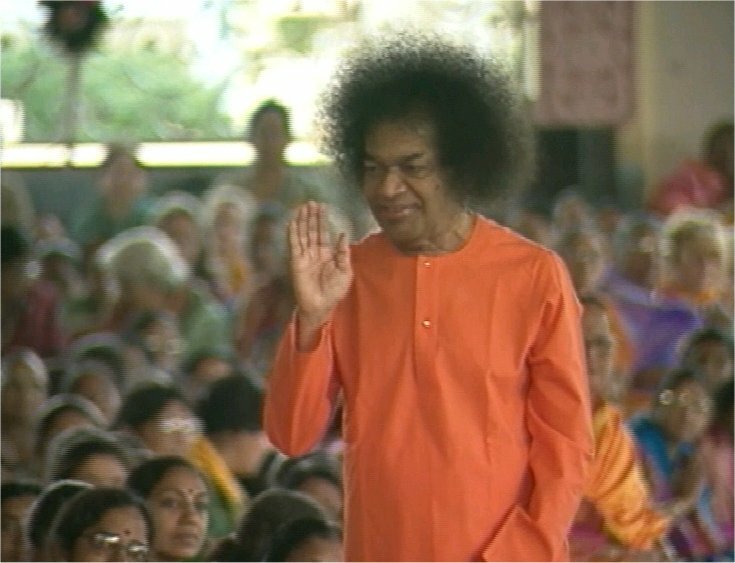 Surrendering is accepting your circumstances and doing the best you can, leaving the results to Swami. So I began to do something for myself and not just wait for a miracle. I cried out, shouting for someone to come and help me. Soon a man sweeping the hall heard me and came over and opened the latch. I made afternoon darshan on the time. And I learned "to bee" an active participant in surrendering. I had taken the first step towards Him.